Snake Dams Lead to Removal? and help keep our skies clean, while ensuring safe passage for salmon. -- Terry Flores, executive director of Northwest RiverPartners a pro-dam group. Three federal agencies that operate and market power from 14 dams in the Columbia Basin announced they are going to do an environmental review on future operations of the structures that inspired Woody Guthrie to write and sing "Roll on Columbia." The Bonneville Power Administration, the U.S. Army Corps of Engineers and the Bureau of Reclamation will present a range of alternatives that will include removing or breaching some of them. They aren't saying that now but they simply could not do an environmental impact statement without such alternatives and pass legal muster. The process is expected to take five years including a biological consultation as required under the federal Endangered Species Act for 13 stocks of salmon and steelhead listed as threatened and endangered. That will be done by the National Oceanic and Atmospheric Administration's Fisheries staff after the environmental impact statement is done. They call the first step of the process scoping because the public can comment on all of the issues it believes need to be considered. Since the fisheries science community has said removing the four lower Snake dams is the best way to recover the salmon and steelhead that spawn in the Snake watershed, hard to see that alternative left out. For more information about the Columbia River System Operations EIS, please visit crso.info.. Information is also available by calling 800-290-5033. 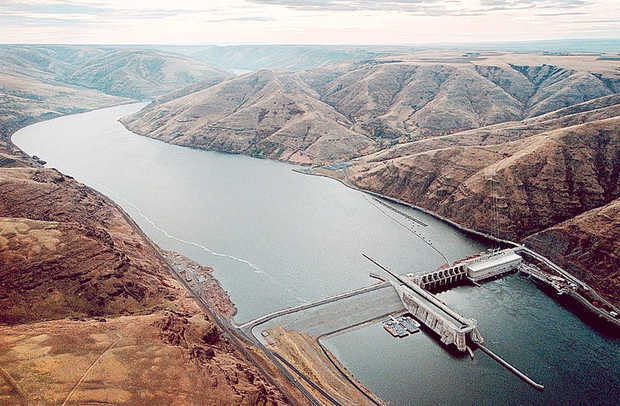 Will Federal Agencies' Review of Columbia, Snake Dams Lead to Removal?